The Lowcountry area of Charleston, South Carolina continues to be a prime location for developers who look to expand their businesses and introduce new science and technology to the region. From aeronautical to biochemical, vacant land is being scouted, marked, and sold to fulfill the needs of Charleston’s rich and robust economy. Acreage in dense areas such as Summerville, Monck’s Corner, Ridgeville, and Goose Creek offers the prime land space for residential or commercial construction. Conservation groups striving for ecological-friendly growth work alongside city administration to ensure development is smart and sustainable. For residential land, Johns Island, the largest island in South Carolina and part of the collective Sea Islands found right off the coast, still has a number of vacant lots available to build a custom home or estate. This area is attractive for land lovers because it is close to Seabrook Island, Kiawah Island beach, the Angel Oak, Freshfields Village, the Charleston Executive Airport on Johns Island, Kiawah Golf Resort, and equestrian facilities. A fertile island because of its high lands and marsh areas, Johns Island is known for horse ranches, livestock farms, and vegetable gardens. In fact, the farmers’ markets across the tri-county region feature produce from Johns Island family farms like Legare, Rose Bank, and Ambrose. On the north side of Charleston, between Mt. Pleasant and Georgetown, is a rural, waterfront town called Awendaw. Originally agricultural acreage, the urban sprawl of North Mt. Pleasant and new community developments like Carolina Park has brought gratuitous governance to this rather reclusive town. 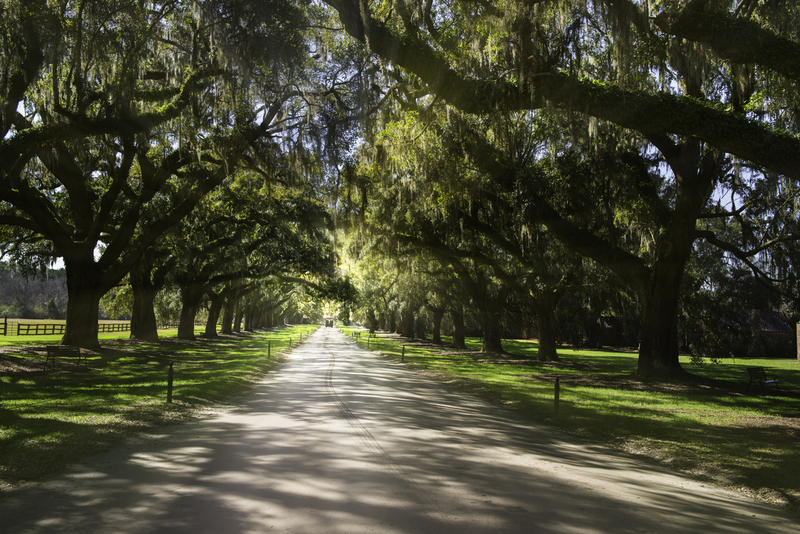 Situated along the Gullah Geechee Heritage Corridor, Awendaw is well known for its untapped forests, century-old oak trees, and unobtrusive views of the Intracoastal Waterway and the Atlantic Ocean. The community hosts the annual Blue Crab Festival and the weekly Awendaw Green Barn Jam, a family-friendly event held at Seewee Outpost that showcases local musicians and bands. With new community developments like Carolina Park and the elite Bulls Bay Golf Club, Awendaw is becoming a popular choice for those seeking a quiet, rural life that is close to commercial industry. Land real estate is available in Awendaw for both residential and commercial use. Established communities such as Pepper Plantation, Bulls Bay Overlook, Romain Retreat, and Awendaw Landing offer one to two acre lots with views of the Intracoastal Waterway, Bulls Bay Island, or wildlife preserve.